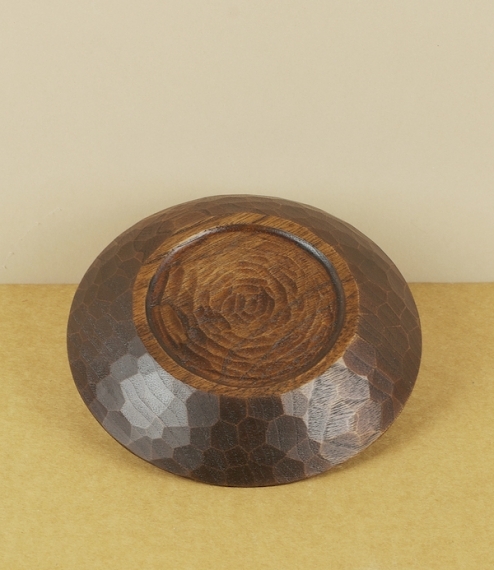 A Fuki-urushi lacquered plate hand cut and finished by SETO Susumu from dark fine grained walnut in his small workshop in Asahikawa city at the heart of the Hokkaido mountains. 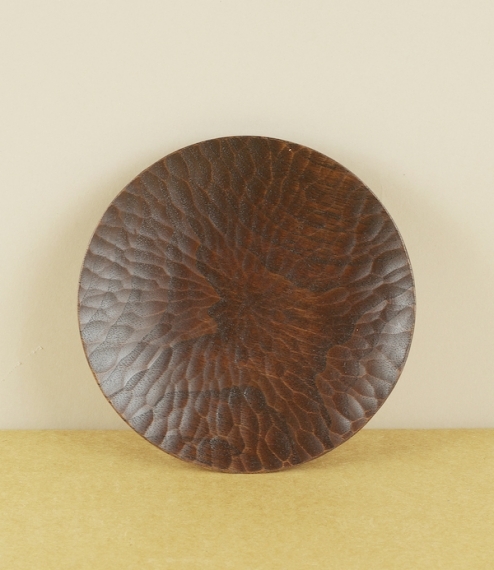 Urushi is a natural lacquer made from the sap of Toxicodendron vernicifluum (Japanese sumac) believed to have been in use in Japan since around 7000BC. 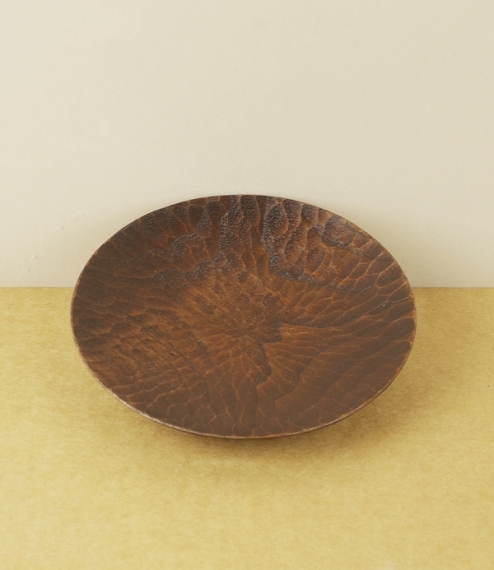 Traditionally it has been used to seal and waterproof wooden sake and tea ceremony cups, ramen bowls, and platters, and is prized in Japan for both its durability and its self evident beauty. Approximately 12cm in diameter.